Family Planning - All of the doctors and nurses provide contraceptive services and advice during normal surgeries. Dr Mercer inserts and removes coils (IUDs) and contraceptive implants, Advanced Nurse Practitioner Lindsay McNab inserts and removes implants, Practice Nurse Amanda Counter removes coils and inserts and removes contraceptive implants. Cervical Smears - All women age 25-64 in Scotland who have ever been sexually active are strongly advised to have a cervical smear. These are done during normal surgeries by the practice nurse or any of the doctors. Please make a double appointment with the practice nurse for a cervical smear. Maternity Services - Antenatal and postnatal care is provided by all the doctors during normal surgeries. The local Maternity Care Centre is at Rutherglen Primary Care Centre in Stonelaw Road which is staffed from the Princess Royal Maternity unit. Diabetes, Asthma and Other Chronic Diseases - These reviews are done by the practice nurses. If you have asthma or non-insulin dependency diabetes and do not attend a regular review please let us know. Women's Health - here we offer advice on all aspects of women’s health including cervical smears, breast and blood pressure checks, menopause counselling, contraception, healthy eating and exercise. Men's Health - Routine checks are available with the practice nurse. Physiotherapy - For self-referral to physiotherapy please call 0845 604 0001 or pick up a card at reception. Podiatry - Forms available at Reception for self referral. Child Health Surveillance - Dr Watson provides this service. All children under five should attend. The first check is at 6-8 weeks. Further appointments will be issued automatically. With doctor and Health Visitor - 6-8 weeks. Child health automatically issue appointments. Well Baby Clinic - a health visitor will be available at Johnstone Drive Community Clinic on Wednesdays 09:30 – 11:30 (no appointment necessary). Immunisations - we run immunisation sessions on the 1st Thursday of each month at Johnston Drive Community Clinic and at other times by arrangement. 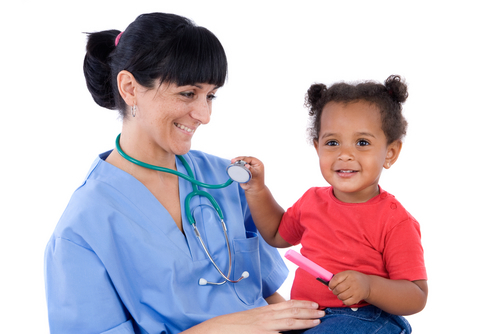 Immunisations are very important for the health of all children. Children who are behind with their vaccinations should catch up as soon as possible. Travel immunisations are important; please ask at reception for a form to give details of your journey eight weeks beforehand. We will then let you know what vaccines you need. All adults should be vaccinated against tetanus. Anyone over 50 may not have been vaccinated as a child and may need a course of three injections. Two boosters in adult life should be sufficient to maintain immunity. Flu vaccination is recommended for anyone with chronic heart, lung or kidney disease or diabetes and for everyone over the age of 65. It is given every Autumn.